The Federation of Malaya, comprising the nine Malay States and the settlements of Malacca and Penang, became independent and a member of the Commonwealth in 1957. In 1963, the Federation combined with North Borneo (later called Sabah), Sarawak and Singapore to create the Federation of Malaysia (which Singapore left in 1965). At independence, the high commission offices were leased in the Royal Police Co-operative Building at 1 Suleiman Road. 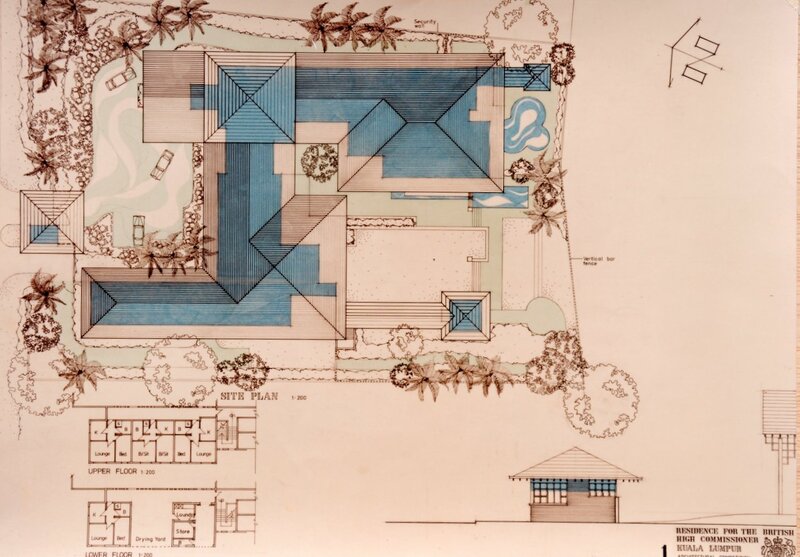 In 1965, a 2.2 hectare site at 186-190 Jalan Ampang, including five houses, was bought freehold for £188,000 with the intention of building new offices on it, starting in 1969. This intention was stymied by public expenditure cuts. The offices instead moved in 1971 into leased space on the top two floors of the fourteen-storey Wisma Damansara building on Jalan Semantan, about five miles from the city centre, in 1971. One of the Ampang houses was used as passport office, another for storage, and the other three for UK staff accommodation. 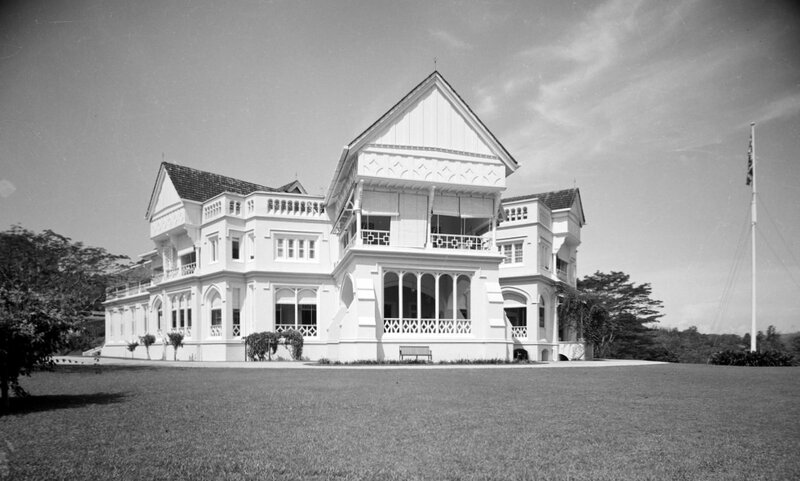 For the high commissioner’s residence in Kuala Lumpur, the Malayans presented Britain with the best house in Kuala Lumpur, called Carcosa. Frank Swettenham, who had played an important part in the creation of the original federation of four central Malay States which had accepted British protection, was appointed in 1896 the first resident-general of these States, to reside at Kuala Lumpur. 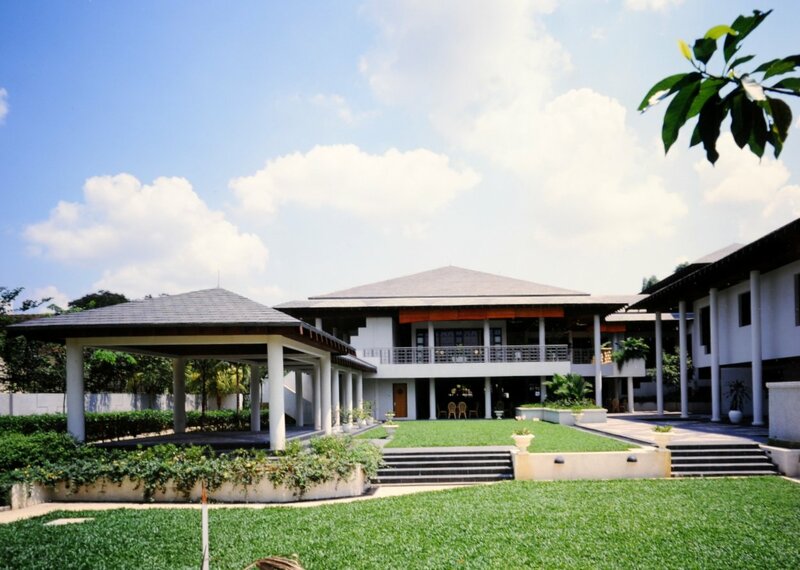 For his official residence he selected a site on a hilltop in Damansara where, with A.C. Norman, the government architect, and C.E. Spooner, the Selangor state engineer, he built a splendid house in which he lived until the end of his appointment in 1901. Of the many speculated reasons for calling it Carcosa, a contraction of cara casa, ‘dear house’, is probably the most likely. 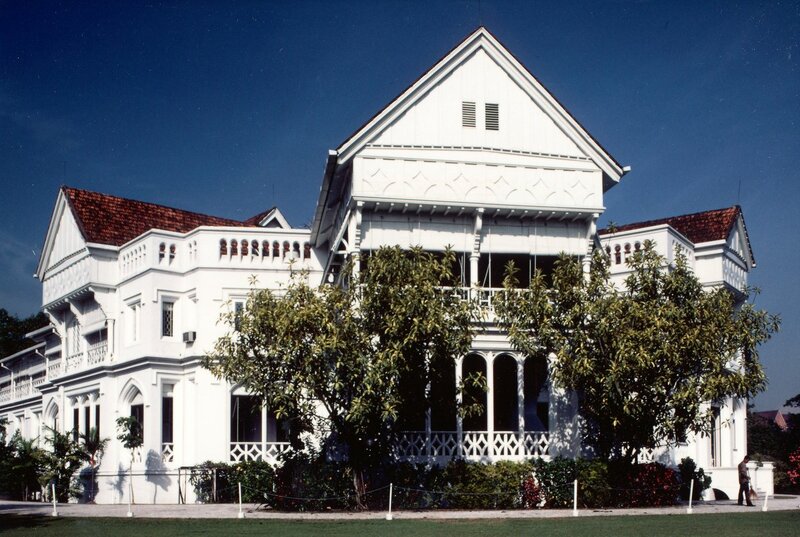 For the next 40 years, Carcosa was the official residence of the most senior British representative in Selangor. The Japanese occupied it during the Second World War as a senior army officers’ mess, and the British military did likewise for a year afterwards. When civil government was re-introduced in 1946, successive chief secretaries lived in Carcosa. In 1956, a year before independence, the chief minister of Malaya, Tunku Abdul Rahman, moved a resolution in the Federal Legislative Council to make a free gift of Carcosa to Britain as a token of goodwill. Although the resolution was passed unanimously, there was subsequent disquiet that the Rulers’ Conference had not been consulted, and the Peninsular Malays Union opposed the gift. Some senior Malays disliked Carcosa being on a higher hilltop than the Prime Minister’s house. Nevertheless, the first British high commissioner, Geofroy Tory, moved into Carcosa in September 1957 and it served as an exceedingly accomplished residence for the next 25 years. The house had a floor area of about 1,400 square metres and sat in over 10 hectares of grounds, which included two tennis courts, a swimming pool, a staff cottage, and various ancillary buildings (including a home erected by Lady Head in the mid-1960s for her gibbons). Main hall and stair, 1980s. 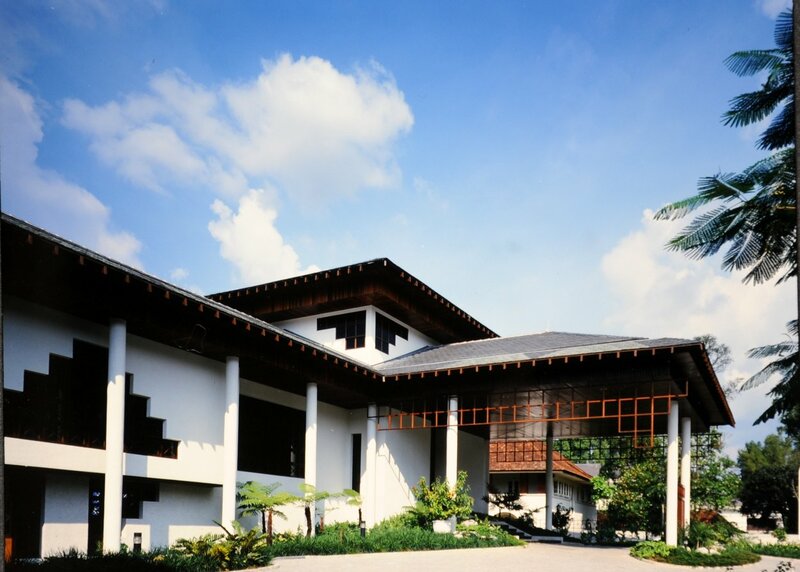 Soon after the FCO took over responsibility for managing the overseas estate in 1983, the Kuala Lumpur estate was selected for a wide-ranging estate rationalisation. At the heart of the strategy were the exchange of Carcosa for a prime 1.2 hectare site at 185 Jalan Ampang (almost opposite the site acquired in 1965) on which new offices and some staff housing could be built, and the sale of two potentially surplus small housing compounds on Jalan Ampang and Jalan Ritchie to raise funds, initially, for constructing buildings on the new Ampang site and a new residence on the site of a house that was already owned. The FCO was widely criticised in the UK for giving up Carcosa but the overall deal was easy to defend. Another ingredient in the strategy was to make better use of, or later to sell, a dozen or so good staff houses on freehold sites, some of which had been transferred in the early years after independence from the British Ministry of Defence to the Ministry of Public and Works for occupation by the high commission. They included 7 Lorong Kuda, 27 Golf View Road (later Jalan Langkak Golf), 432 Circular Road (later Jalan Pekeliling, later Jalan Tun Razak), 2 Jalan Syers, 20A Jalan tun Ismail, 24 Jalan Tunku, and 1-8 Jalan Ritchie. 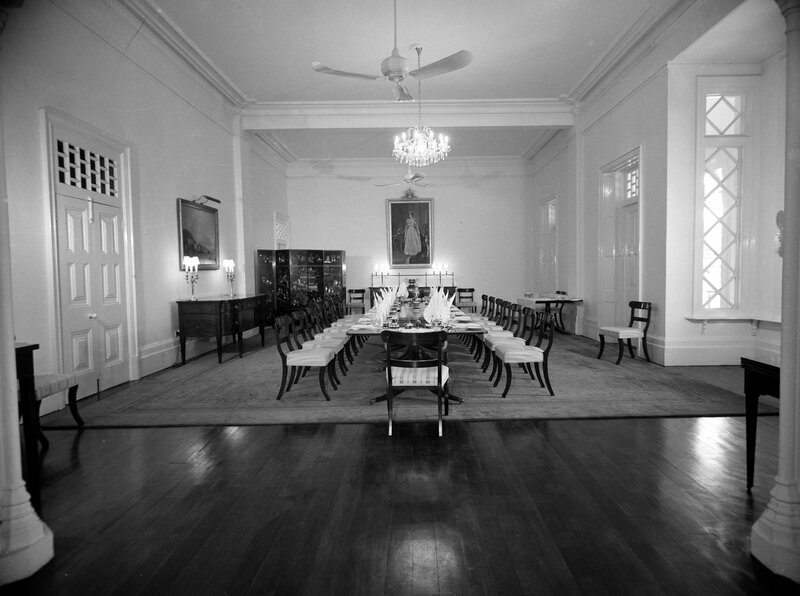 Carcosa was handed back at the end of David Gillmore’s tour as high commissioner in September 1986, and his successor, Nicholas Spreckley, moved into what was formerly the deputy high commissioner’s house at 24 Jalan Tunku until the new residence was ready for him to move into in 1989. The high commission accordingly took possession of the new Jalan Ampang site in September 1986. Carcosa is now owned by the Malaysian government, protected by the National Heritage Act, and operated as a boutique hotel. 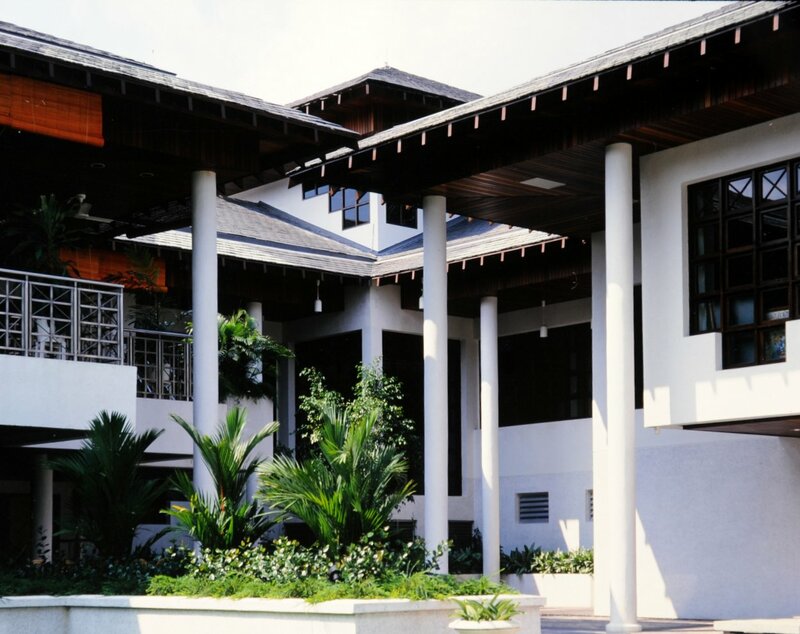 The offices, eight houses and flats, and an amenity pavilion for the new Jalan Ampang site were designed by John Bateman and David Pennington, of the FCO’s Overseas Estate Department, and taken forward by Raglan Squire and Partners as executive architects, and built by Teamwork Malaysia (a subsidiary of Taylor Woodrow International). The offices were occupied in July 1989, and Her Majesty The Queen officially opened them on 17 October 1989. The site selected for the new residence was 27 Langgak Golf, and the house on it, formerly occupied by the defence attaché, was demolished. The FCO launched in November 1985 an architectural competition for its replacement, which was won by Brian Clouston and Partners with Kumpulan Akitek, and the new residence was built by Bovis with Yeoh Tiong Lay. The high commissioner took up occupation in April 1989. 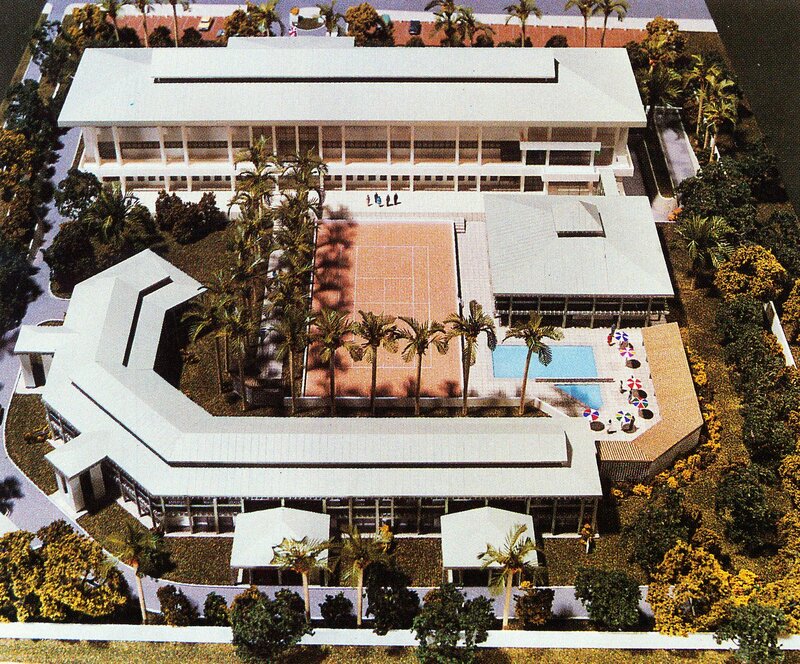 Model of the proposed development of 185 Jalan Ampang, 1985, with pffices at top, housing at bottom, and amenities between. 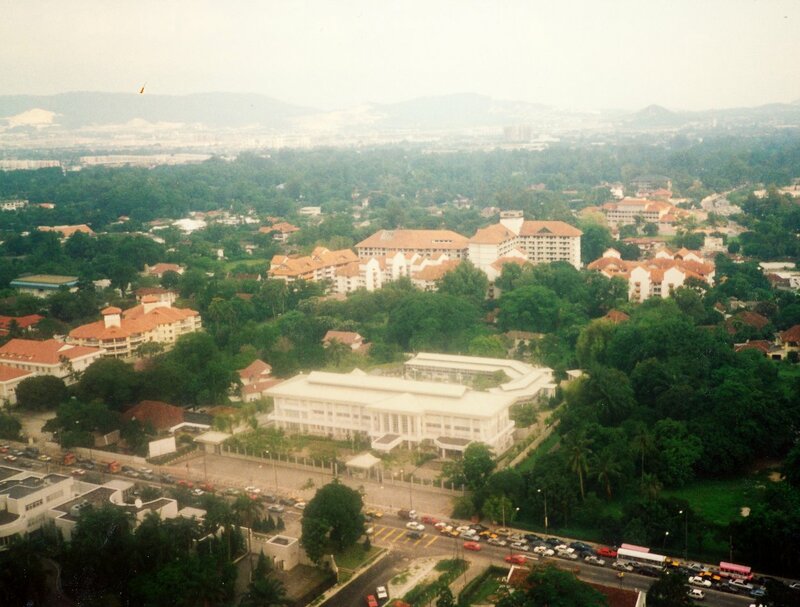 Ampang offices site as developed, 1990. Rear view from the garden, 1989. 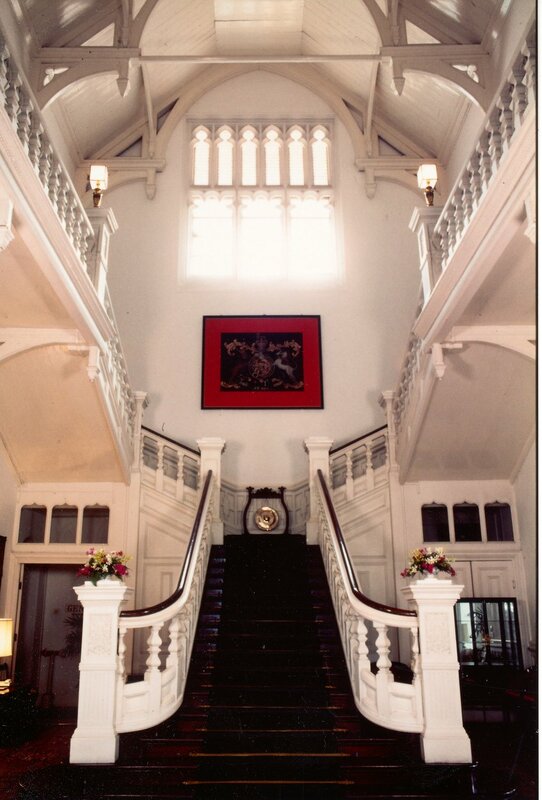 Garden view of entrance hall, 1989. 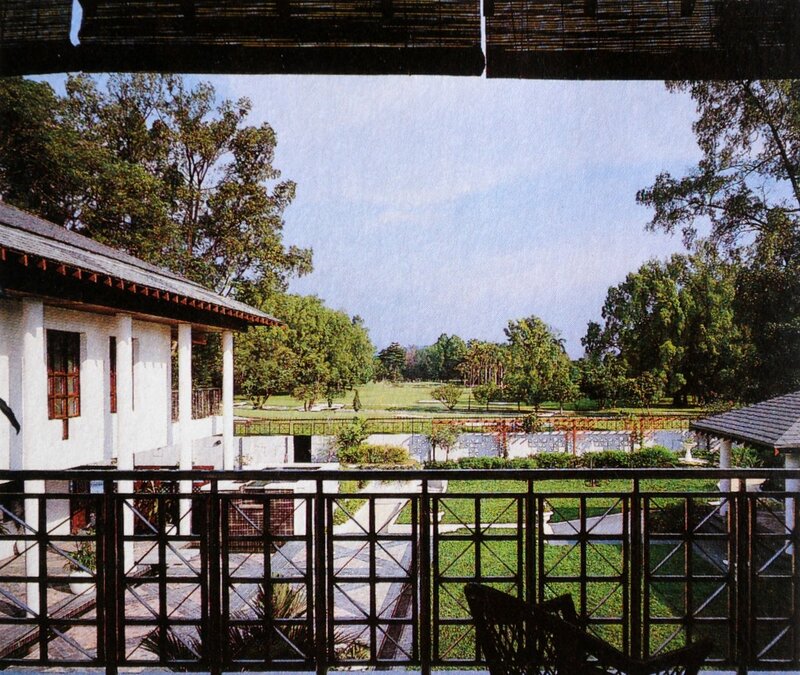 View to the golf course beyond the garden, 1989. A site at 18 Jalan Madge was bought in 1994 to enable a new house to be built for the deputy head of mission. This was completed in 1996, which in turn enabled 432 Jalan Tun Razak to be sold. Lady Ruth Hawley’s article ‘Carcosa: an Outline of its History’ in the Malaysian Historical Magazine, 1979, is an authoritative and fascinating source, on which I have drawn for some of the above. There were two deputy high commissions in Malaysia during the 1960s and 1970s at which the British government held property. In 1967, the deputy high commission offices were leased in Wing On Life Building, 1 Chester Street. 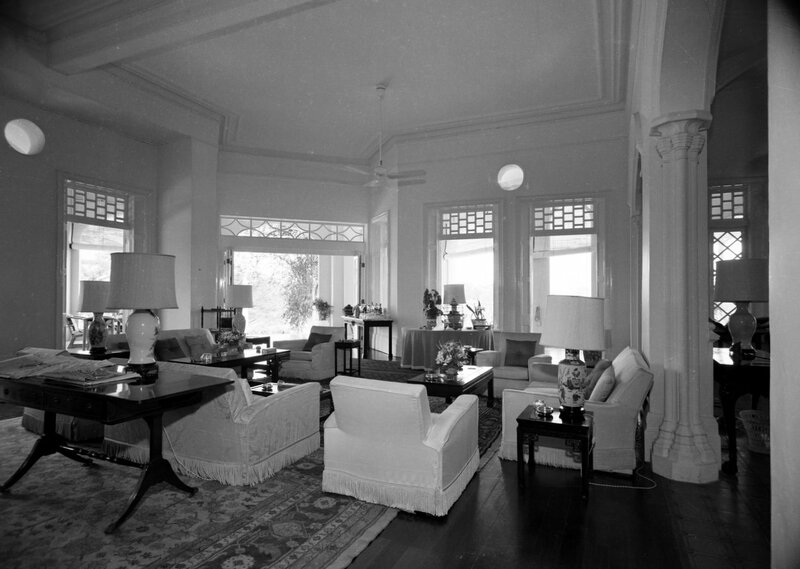 Two staff houses on Tanjong Aru, leased for 99 years from 1958, were bought in 1964. One of them, No. 4, was subsequently let to the British Council. In 1967, the deputy high commission offices moved from the Overseas Chinese Banking Corporation Building to a 10 year lease on Biang Chiang Bank Building on Thompson Road. The deputy high commissioner lived at 35 Ricketts Estate, bought in 1963. Staff accommodation included a Rodway Road site of 3.7 acres bought in 1963 for £30k, and six flats completed in 1966 on Bampfylde Road.